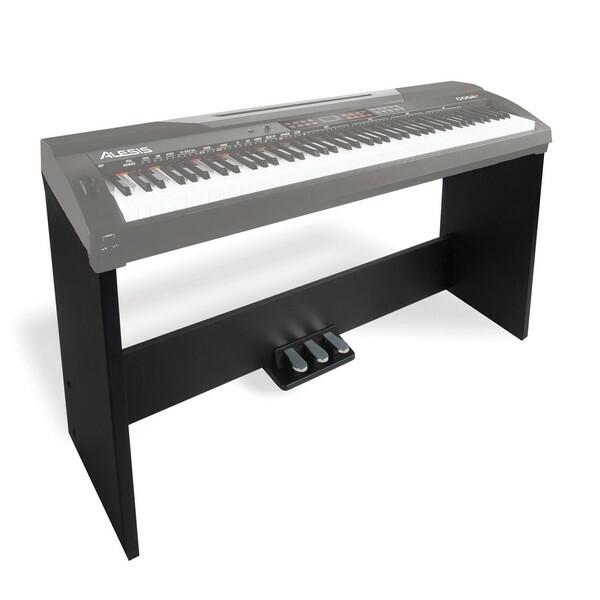 The Alesis Coda Piano Stand is a strong and stylish stand for the both the Alesis Coda and Coda Pro, providing a secure and fitted mounting platform. Also incorporating 3 built in pedals (soft, sostenuto and sustain) which connect with a single cable to the Alesis Coda Piano Stand, it is the perfect addition to any Alesis Coda set up and allows you to truly optimize the performance of your Coda Digital Piano. Please Note: Alesis Coda Piano Not Included. Image for Illustration Purposes Only.